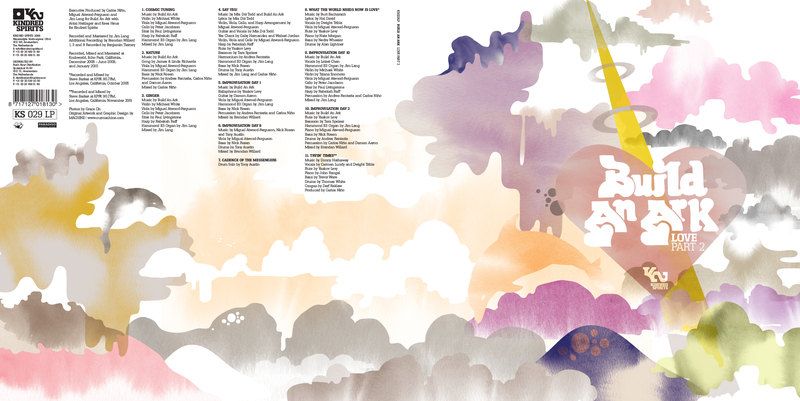 Various album covers we designed for the Build an Ark collective. Build an Ark is a Los-Angeles-based transcultural and intergenerational musical collective that was founded in 2001 as a pacifist response to the September 11 tragedies in New York City. Directed by DJ, producer, and arranger Carlos Niño, composer, multi-instrumentalist, and musical director Miguel Atwood-Ferguson, and veteran vocalist and composer Dwight Trible, Build an Ark focused its ensemble work on writing and interpreting message-oriented compositions that dealt with awakening the positive aspirations in its listeners emotionally, spiritually, and morally. Playing a meld of 21st century soul, spiritual jazz, poetry, modern improvisational and classical, and even cosmically inspired pop, Build an Ark’s members included Michael White on violin, Phil Ranelin, Derf Reklaw, and Tracey Wannomae, amongst others.